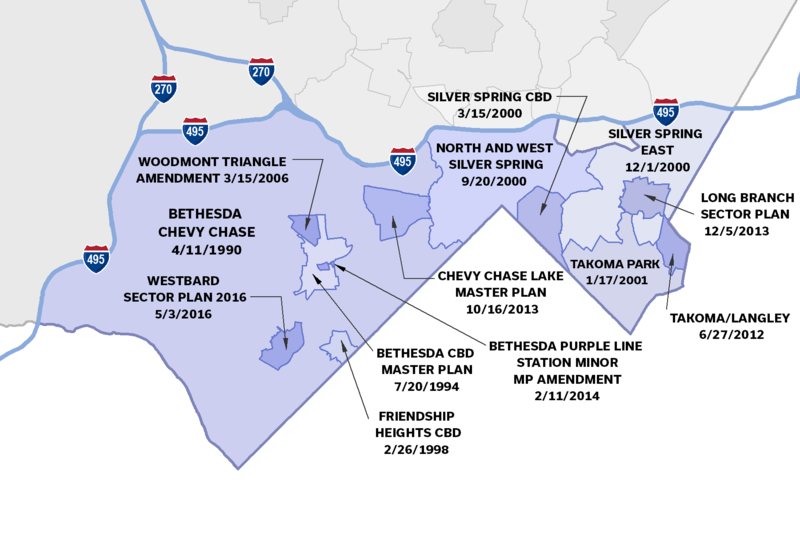 We create great communities by developing Comprehensive amendments to the General Plan for the Maryland-Washington Regional District (“On Wedges and Corridors”) that provide detailed and specific land use and zoning recommendations for specific areas of the County. They also address transportation, the natural environment, urban design, historic resources, public facilities, and implementation techniques. Comprehensive amendments to the General Plan for the Maryland-Washington Regional District (“On Wedges and Corridors”) that provide detailed and specific land use and zoning recommendations for specific areas of the County. They also address transportation, the natural environment, urban design, historic resources, public facilities, and implementation techniques.master plans, reviewing applications for development and analyzing various types of information to help public officials plan for Montgomery County’s future. Learn more. The Planning Board meets weekly to review development applications and other projects, and our planners are actively engaged in the community. Learn what planning initiatives are taking place in Area 1. New! View a presentation on the latest development projects in Silver Spring & Update on Forest Glen/Montgomery Hills Sector Plan.